Plus sized confidence and control. 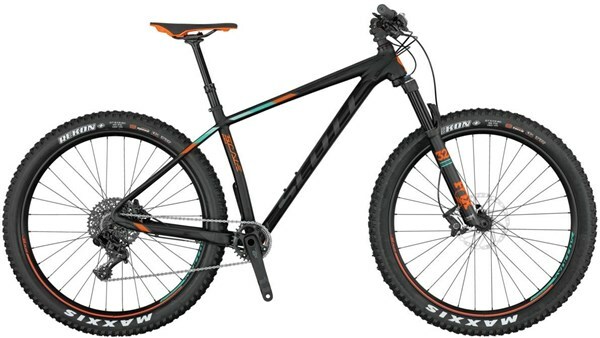 The Scott Scale 710 Plus is a hardtail mountain bike that offers extra grip and float for improved performance on technical trails. Offering extra float, the high volume, 27.5 Plus Sized MTB tyres, soak up more of the bumps on the trail for a much smoother ride along with extra grip. The custom butted Scale 700 frame features an updated geometry for 2017. While still being a rapid climber the slacker head angle offers more confident handling on the descents. The rear end features a 12mm thru axle with Boost spacing and enough clearance for 3” tyres. The Fox 32 Float Performance fork offers 120mm of plush suspension control with refined damping adjustment so you can adapt performance to the trail ahead. The SRAM GX1 11 speed ‘one by’ drivetrain offers a wide range of gears with easy shifting, quiet running and excellent chain security. Shimano Deore hydraulic disc brakes offer confident all weather stopping power while the dropper post allows you to make the most out of every trail section. 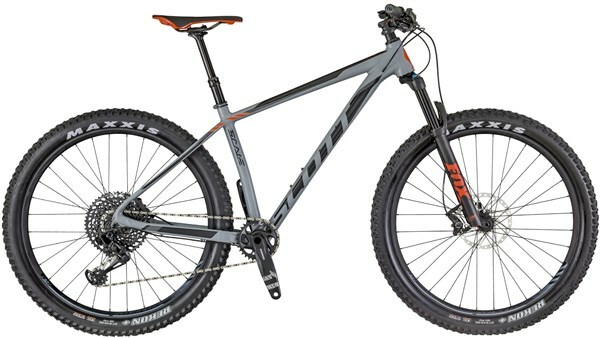 Get rowdy on the Scott Scale 710 Plus.